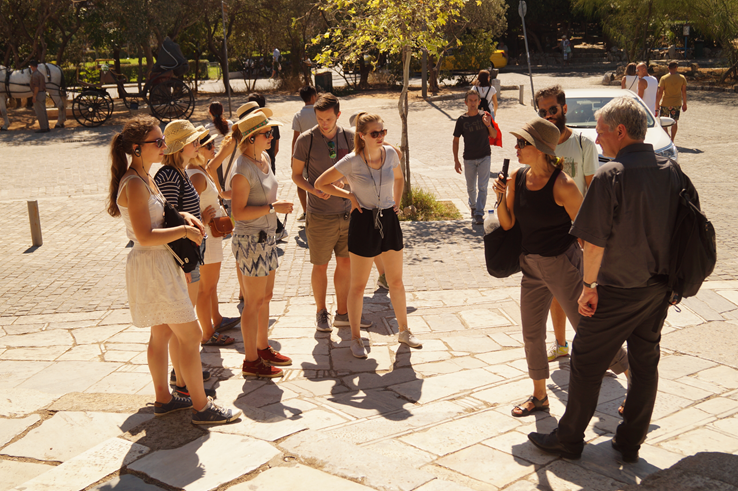 At the end of September – from the 23.09 until 28.09.2018 – a group of 15 students from the Faculty of Architecture and Landscape Sciences at the Leibniz University of Hanover took part in an excursion to Athens, Greece. 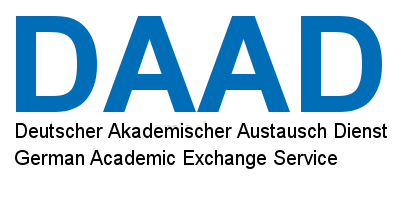 The German Academic Exchange Service (DAAD) supported the organization of the field trip as one of the main components of the research project ‘HeKris: Resilience as Challenge in European cities’, which is based on a cooperation of the Leibniz University of Hanover (Faculty of Architecture and Landscape Sciences) and the National Technical University of Athens (School of Architecture). The excursion was supervised by the Prof. Dr. Rainer Danielzyk and Filip Śnieg (LUH), as well as Prof. Konstantinos Serraos (NTUA). While preparing for the excursion, the participants had to research given topics that were strictly related to development, resilience and planning issues of the Athens Agglomeration. The outcomes, in the form of presentations, were presented during the whole excursion time. On the first day of the excursion, the students had an opportunity to visit the Ministry of the Environment and Energy, where they could get to know more and discuss the planning system in Greece and its contemporary issues, as well as different planning instruments for promoting public and private investments. The presentations were held by the director of the Urban Planning Department – T. Psyhogios – and his colleagues. Afterwards, the group took part in a tour around the historical parts of Athens. The trip was guided by the Prof. Dr. Riva Lava (NTUA), who introduced all participants in detail to the ancient history of the development of the city and the latest development projects that were undertaken within the visited area. On Tuesday, the second day of the excursion, the day started with a visit to the Athens Olympic Complex, where most of the competitions during the 2004 Olympic Games took place. The students could learn about the development processes of the complex. Moreover, the group was allowed to enter the main facilities, such as the Central Olympic Stadium or The Olympic Swimming Pool, which was followed by the discussion on the current use, as the area around the complex seemed to be deserted. In the afternoon, the participants were able to visit the „Stavros Niarchos Foundation Cultural Center“ (SNFCC), where the Greek National Library and the National Opera House is located. 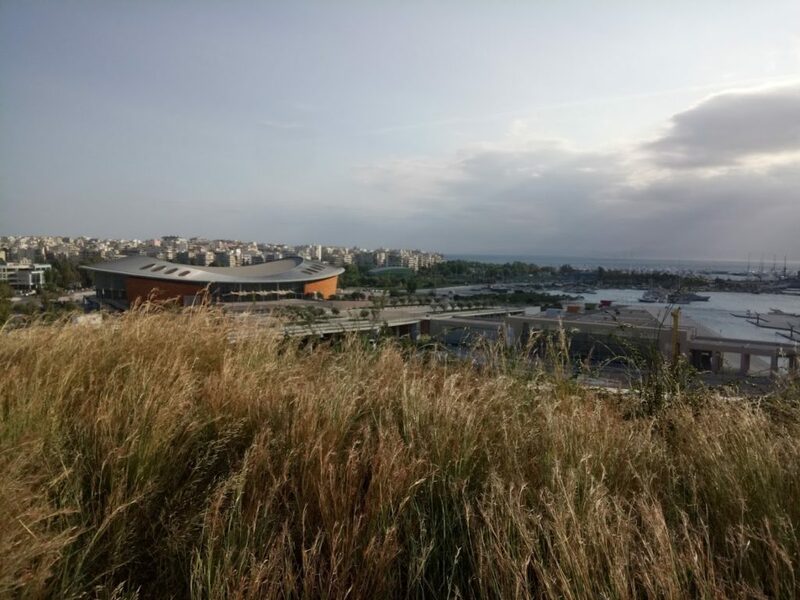 Additionally, on the roof of the SNFCC, a big park is located and creates a green rooftop with solar panels, which does offer not only the use of green energy but also a great viewpoint on the surroundings. On the third day, the students had an opportunity to listen to some exciting lectures that were presented at the NTUA by Prof. T. Pagonis and M. Lazoglou. The topics ”Resilience and Development of the City of Athens” and ”For the Greece we love and want to save – past and present projects …” subsequently contributed to a fascinating discussion. The penultimate day of the excursion – Thursday – started in Piraeus, a city located southern from Athens. The group visited the port of Piraeus with Prof. Dr. Nikolaos Belavilas (NTUA) and his colleagues. The participants had a very good opportunity to get to know the history and significance of the seaport of Piraeus in Europe. The excursion ended on Friday, which is why only a few theoretical keynotes took place at the NTUA. The presentations by Dr. Penny Koutrolikou and Prof. Yannis Psycharis on “The History and Social Challenges of the Crisis in Athens” and “Crisis-related Regional Inequalities in Greece” have successfully completed the field trip. In the coming year, further excursions will take place to raise awareness on resilience and to deepen the exchange of knowledge between the participants. In the context of “HeKriS: Challenges of resilience in European cities”, we had the chance to visit the Ruhr Region (Ruhrgebiet) in Germany. The field trip had a duration of five days from September 10th to September 15th. A group of 22 students and two postgraduate students from Athens School of Architecture (National Technical University of Athens (NTUA)) accompanied by professors K. Serraos and V. Asprogerakas participated. The field trip lead to Düsseldorf and four cities in the Ruhr metropolitan area: Dortmund, Oberhausen, Essen and Duisburg. Funded by the German Academic Exchange Service (DAAD), HeKriS project is a cooperation of the Institute of Environmental Planning of Leibniz University of Hannover (LUH) and the Urban Planning Research Lab of NTUA. 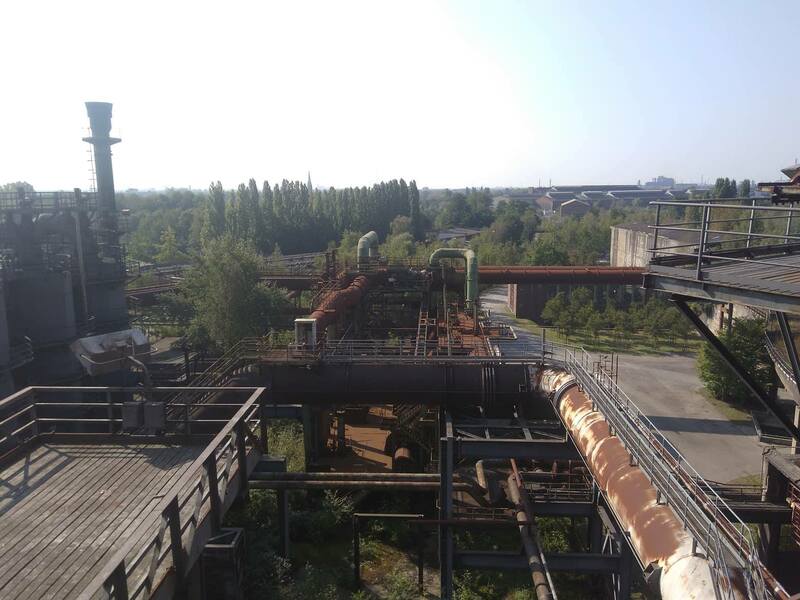 This year’s student excursion focused on the dynamic transformation of the former industrial Ruhr Region to a rapidly developing cultural scene and business center. 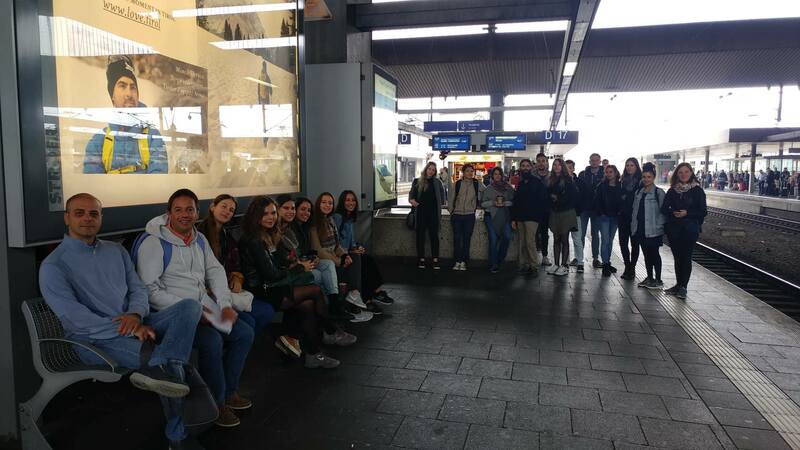 As part of the trip’s preparation, the students carried out research concerning the cities of interest (socio-economic, cultural, architectural and urban characteristics) and the urban resilience of Ruhr area. The results formed a guide for our visits there, including information about the sites on the scheduled plan as well as additional suggestions for the free time. Both group and individual visits were added in the excursion’s guide as daily reports, which is available for further research. During these five days we explored different aspects of restructuring and renovation. From east to west, we visited postindustrial sites in Dortmund, Essen, Oberhausen and Duisburg. Most of these sites are parts of the Emscher Landscape Park, as they lay on the route of Emscher River. The Emscher Landscape Park, an initiative of IBA 1989, is an 800km route that joins the cities and the pre-industrial sites around Emscher. Culture and tourism are key words for the whole project. In Dortmund the destinations were Phoenixsee and Phoenix-West. Phoenixsee is an artificial lake constructed between 2006 and 2011 on a former mining site. It is almost a complete renewal of the place, since no reminders from the industrial past have been kept. 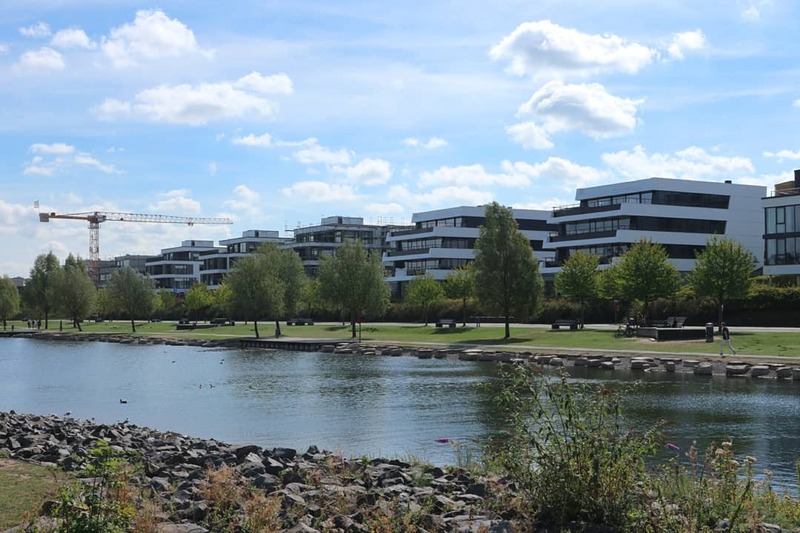 Instead, a newly built residential area with leisure opportunities surrounds the lake. On the contrary, in Phoenix-West a big part of an inoperative steel industry has been preserved as a monument itself. Other such parts of the site have been torn down in order for recreational centers and office blocks to be developed. In the region of Essen our target was the UNESCO World Heritage Site “Zeche Zollverein”, a former mining region as well. In Zeche Zollverein the industrial facilities, that follow the Bauhaus architectural principles, were turned into cultural and leisure ones, all surrounded by nature. The landmark of this park is the Ruhr Museum that gives a complete aspect of the area’s history to its visitors. Similar management was followed in the coalmine of Oberhausen, where the biggest gasometer of the facilities is kept as a museum for periodic exhibitions and is a monument itself, too. Although the weather was not so clear, we had a quiet wide view of the Ruhr Region and Emscher Park from the top of gasometer. A slightly different approach was followed in Landscape Park Duisburg Nord, a former blast furnace plant in the north side of Duisburg. The facilities there still stand waiting for visitors to explore them. No other functions, apart from some stop-offs and canteens, have been included in the park. In Duisburg we also visited the Inner Harbor, the largest inland port on the Rhine. After the decline of the port in the mid-20th century, the area transformed and now combines employment, housing, culture and water-based leisure activities. The renovated mills on the south bank of the port face the new constructions on the north, forming a special whole in the area. Our starting point for all these field trips was Düsseldorf, so we could not leave without exploring this city, too. Kö-Bogen and Medienhafen (Media Harbor) were the stops in our field walk in the capital of North-Rhine-Westphalia. The first one is a new commercial center in the end of the historic wide commercial street Königsallee which stands as an example of the continuing development in empty sides of the city. As far as Medienhafen it is still an active port on the waterway of Rhine. After the closure of some trades there, businesses in the service sector such as media and design companies took their place. A rising residential area is also part of the Medienhafen project. Thus, the area is a quiet multifunctional and continuously changing district of the city. An equally important part of the excursion were our meetings with academics and urban planners of the region. Professor Karsten Zimmerman from the Technical University of Dortmund presented the history, development and metropolitan function of the Ruhr Region. Professor Rainer Danielzyk from the Leibniz University of Hannover guided our group to Medienhafen and its transformations. 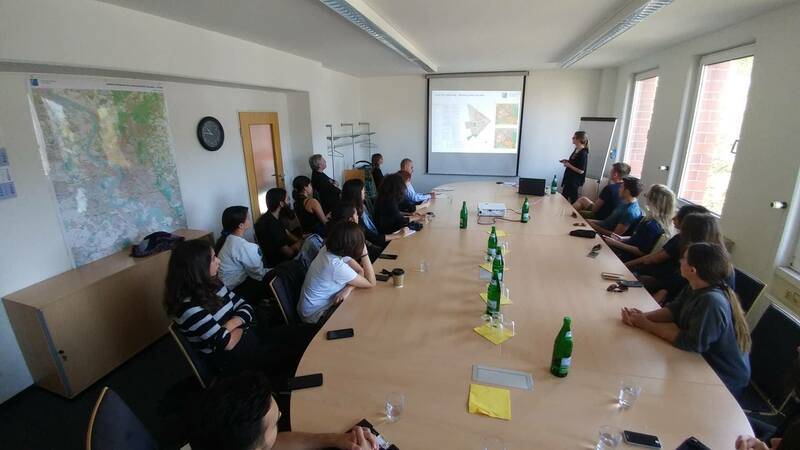 Mrs. Bianca Menz and Mrs. Anna Dworrak from the Urban Planning Public Offices of Düsseldorf introduced us the ‘Growing City of Düsseldorf’, that focuses on the renovation and creation of development plans of the city.